GENERAL TERMS AND CONDITIONS FOR THE USE OF SERVICES AVAILABLE UNDER WEBSITE AND MOBILE APPLICATIONS burgerontheroad.bg This document contains the General Terms of the Agreement for the use of the services provided by LEREA LTD through the website burgerontheroad.bg ("General Terms") and regulates the relations between LEREA Ltd. and any of the users of the services available on the website burgerontheroad.bg. I. DEFINITIONS In the interpretation and application of these Terms and Conditions, the terms and expressions used will have the following meanings: 1.1. LEREA Ltd. is a limited liability company, UIC 832006859 with headquarters and management address BULGARIA 11, Lilyana Dimitrova Str., e-mail: info@burgersontheroad.bg, which provides the services subject to the present General Terms and Conditions, through the portal which it administers: http: // burgerontheroad.bg/; registered under the Value Added Tax Act with VAT number: BG832006859. 1.2 burgerontheroad.bg (http: // burgerontheroad.bg) is a website (portal) - a virtual shop through which the USERS are provided services described in these General Terms and Conditions. 1.3. "USER" is any person who uses any of the services provided by the website burgerontheroad.bg. 1.4. "User Profile" is a separate part of burgerontheroad.bg, containing information about the user, provided by him at his registration and stored by LEREA Ltd., access to the profile is made by entering username and password. The account allows the user to view and edit the data entered during the registration, access their personal profile, change their access password, subscribe, respectively drop the subscription, receive a newsletter, etc. 1.5. A "username" is a unique code of letters and / or digits by which the user is personalized in LEREA Ltd. 1.6. A "password" is a user-selectable code of letters and / or digits that together with the username individualizes the same. 1.7. "Server" is a device or a system of connected devices that either has a system software installed to perform tasks related to storing, processing, receiving, or transmitting information. 1.8. "Website" is the distinct place on the global Internet network available through its HTTP or HTTPS unified URL, and contains files, programs, text, sound, picture, image, electronic references or other materials and resources. 1.9. "Accidental event" is unforeseen at the time of conclusion of the contract, a circumstance of extraordinary nature, which renders its implementation objectively impossible. 1.10. "Commercial communications" are advertising or other communications that represent, directly or indirectly, the goods, services or reputation of a person engaging in commercial or artisanal activity or practicing a regulated profession. II. SUBJECT OF THE CONTRACT 2.1. LEREA Ltd. through the Burgerontheroad.bg Web site provides on-line to the USER the services provided in these General Terms and Conditions (the "Services"), subject to strict compliance by the latter with the requirements set forth in these General Terms and Conditions. 2.2. 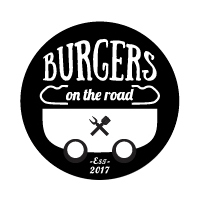 Part of the Services of the website burgerontheroad.bg is provided to all USERS without the need for pre-registration. Such are, but are not limited to: accessing and using, subject to the terms of these Terms and Conditions, information resources, viewing photos, viewing an assortment menu available through the Burgerontheroad.com Website - funny publications as well as other content , published on the website burgerontheroad.bg; search services related to access to and automated search for data structured according to various predefined criteria or keywords specified by the USER; 2.3. Use of part of the Services on the website burgerontheroad.bg is possible only after pre-registration, creation of USER's Profile and entering of username and password. These include, but are not limited to: the "Purchase Orders" Service and "Placement Orders" consisting in the provision of courier services and delivery at an address as well as the order of goods to be taken personally by the customer a place from one of the LEREA Ltd's restaurants. III. FIELD OF APPLICATION. AGREEMENT WITH THE GENERAL CONDITIONS 3.1. These Terms and Conditions apply to the USERS who have registered with the Burgerontheroad.com Web Site (the "USER REGISTERED"). These General Terms apply accordingly to the USERS who have not registered on the website burgerontheroad.bg ("unregistered USERS"), and their rights are limited to the use of the services described in item 2.2. 3.2. The text of these Terms and Conditions is available on the Internet at a website with the address burgerontheroad.bg in a way that allows its storage and reproduction. 3.3. To be able to uses the services under item 2.3. of the present General Terms and Conditions, the USER must register in advance by filling in the online registration form, available on-line on the Internet at burgerontheroad.bg 3.3.1 During the registration process, by marking in the field "I agree with the LEREA Ltd General Terms and Conditions and pressing the virtual button "Registration", the USER expressly makes an electronic statement within the meaning of the Electronic Document and Electronic Signature Act, stating that he / she is familiar with the present General Terms, accepts them, agrees withand undertakes to abide by them. 3.3.2 In the event of failure to provide the required data in the registration form, LEREA Ltd "has the right to refuse the registration. 3.3.3 In the event of the provision of untrue data or non-reflection of the changes within the time limit, LEREA Ltd shall have the right to terminate or suspend immediately and without notice the provision of the Services as well as the maintenance of its registration. In this case, the termination of the provision of the Services is considered an automatic termination of the contract. IV. USER NAME AND PASSWORD. USER PROFILE 4.1. Upon registration, the USER specifies a username and password. If the user name is no longer in use, the USER receives the username and password that he / she has requested. Through them, the USER will gain access to his / her Profile, as well as the opportunity to use the Services under item 2.3. 4.2. The username is a unique code of letters, numbers and characters through which the USER is individualized when using the Services under item 2.3. LEREA Ltd does not check and accept responsibility for the match of the username with the name of the USER, whether it affects the rights of third parties and in particular the right to name or other personal rights, the right to a trade name (company), the right to a trademark or other intellectual property rights. 4.3. The password is a code of letters, numbers, and characters, which together with the username serves to access a particular profile. 4.4. The USER shall be obliged not to disclose the password to third parties and to notify LERAA LTD immediately in case of unauthorized access, as well as in the event of the possibility of unauthorized access. The USER is required to take all care and to take the necessary measures that are reasonably practicable in order to protect his / her password and bears full responsibility for all actions performed by him or by a third party by using them. V. CONCLUSION OF THE CONTRACT 5.1. The agreement between the parties shall take effect from the moment of agreement reached in the manner referred to in paragraph 3.2 or 3.3.1. 5.2. The contract is concluded in the Bulgarian language. 5.3. The contract has effect: a) For unregistered USERS - until the termination of the use of the Services under item 2.2 .; b) for the registered USERS - for an indefinite period from the registration of the USER until the termination of the contract in the order provided in the present General Terms and Conditions. VI. INTERESTS WITH THIRD COUNTRIES 6.1. If needed and at its own request, LEREA Ltd. may request services from other legal or natural persons for whom LEREA Ltd can provide personal data to the users according to the needs of the business. By accepting these terms, users agree to provide the necessary information to third parties and release LEREA Ltd from liability for the actions of the same third parties. VII. RIGHTS AND OBLIGATIONS OF THE CONSUMER 7.1. THE USER alone provides the necessary client services (terminal devices for Internet access and related software applications) and access to the Internet, provided by LEREA Ltd. 7.2. The USER has the right to access on-line the Services provided through burgerontheroad.bg, subject to the conditions and access requirements set by LEREA Ltd. 7.3. THE USER may at any time at his / her own discretion terminate the use of the services provided by LEREA Ltd by deactivating the provision of their User Account or terminating their registration on the website burgerontheroad.bg respectively ceasing the use of the Services under item 2.2. From the moment of termination of the registration and for the unregistered USERS - from the moment of termination of the services under item 2.2., The contract between the parties is considered automatically terminated and LEREA Ltd stops the access of the respective USER to its User profile and is entitled to stop access to and delete from its servers all of its User Content in accordance with paragraph 14.2. of these Terms and Conditions. Deactivating the provision of certain Services does not result in termination of the contract. VIII. RIGHTS AND OBLIGATIONS OF LERENA Ltd. 8.1. LEREA Ltd undertakes to take due care to enable the USER to make normal use of the Services. 8.2. LEREA Ltd has the right to send commercial messages to the USERS, including through the "E-mail service" in order to offer information and advertisements about their goods and / or services, to inquire on a variety of questions, to conduct inquiries and other inquiries. With the acceptance of these General Terms, the USER agrees to receive commercial communications from LEREA Ltd. 8.3. LEREA Ltd reserves the right to temporarily or permanently discontinue the provision of specific Services available through the burgerontheroad.bg Website, informing the USER with a message on the website. IX. INTELLECTUAL PROPERTY 9.1. When using the Services subject to these Terms and Conditions, the USER has access to a variety of content and resources that are the subject of copyright or other intellectual property rights of LEREA Ltd. The USER has access to the contents for personal use in accordance with these General Terms and Conditions and is not entitled to use, record, store, reproduce, alter, adapt or publicly distribute intellectual property objects that have become available to him / her during the use of the Services . Notwithstanding the foregoing, the USER is not entitled to remove the trademark and other trademark rights of any other intellectual property right from the available materials, regardless of whether the holder of the respective rights is LEREA LTD or another USER. X. RESPONSIBILITY. LIMITATION OF LIABILITY 10.1. LEREA Ltd is not responsible for failing to provide services in the event of circumstances beyond its control - in cases of force majeure, accidental events, problems in the global Internet network and in the provision of services beyond the control of LEREA Ltd, problems due to the USER's equipment , as well as in case of unauthorized access or intervention of third parties in the functioning of the information system or servers of LEREA Ltd. 10.2. By accepting these General Terms, the USER declares that he is aware of the possibility of any interruptions and other difficulties in the implementation of the Internet connection to the burgerontheroad.bg website, which may arise regardless of the care provided by LEREA Ltd. The USER declares that he will not claim any compensation from LEREA Ltd for lost profits, damages or inconvenience resulting from the above interruptions or difficulties of the Internet connection, including the capacity of this connection. XI. RIGHTS OF LEREA OOD IN THE CASE OF NON-PERFORMANCE OF USERS 'OBLIGATIONS 11.1. LEREA Ltd has the right without prior notice to deactivate the password for access to the USER's profile in the event that, at the discretion of LEREA OOD, the USER violates these General Terms and Conditions. In such cases, LEREA Ltd has the right to terminate the registration of the USER, to discontinue the provision of the USER of the Services under item 2.3. The agreement with the USER is deemed to be automatically terminated from the date of termination of the registration. XII. TERMINATION AND DEPARTURE OF THE CONTRACT 12.1. Except as provided in these General Terms, the agreement between the parties shall also be terminated upon any of the following circumstances: a) termination of the activity of LEREA Ltd or termination of the maintenance of the website burgerontheroad.bg; b) mutual consent of the parties for the termination; c / other cases provided by law. ХІІІ. OTHER CONDITIONS 13.1. The parties agree that if any of the clauses in these Terms and Conditions are invalid, this will not result in the invalidity of the contract, other clauses or parts thereof. The invalid clause will be replaced by the mandatory rules of the law or established practice. 13.2. All provisions not governed by this Agreement shall be governed by the provisions of the applicable legislation of the Republic of Bulgaria. 13.3. All disputes between the parties are resolved in a spirit of understanding and goodwill. In the event that consent is not reached, any unresolved disputes arising out of, or relating to, the parties to the contract, including disputes arising out of or relating to its interpretation, invalidity, performance or termination, as well as disputes to fill gaps in the contract or its adaptation to new circumstances, will be settled by the court competent in the Bulgarian law in Sofia. These General Terms and Conditions are approved by the Manager of LEREA Ltd on 01.03.2018 and enter into force on 01.03.2018.